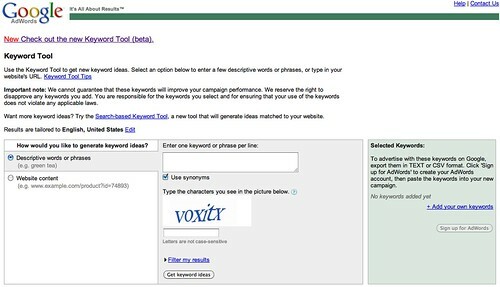 In September 2009 Google unveiled their new AdWords keyword tool. Since then, both the External Keyword Tool (Old Tool) and the new one (which required you to login) were available. 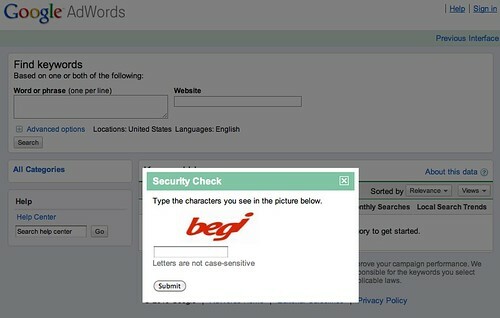 Now, it appears the old External Keyword Tool is the new tool with a CAPTCHA. Update: I spoke with Google and they told me that the old tool is still available via a link at the top right of the page. They will ultimately phase out the old tool, but do not have an ETA for when that would happen.